Sometimes there are way too many acronyms in the world of VA Claims. The VA will talk about the NOD (Notice of Disagreement) and the SOC (the Statement of Case). We have to get DBQs or C&Ps, and if you get to the CAVC, you better know what the RBA is. It’s a bit like the military isn’t it? Well, here’s a new acronym for you… the EIC. The EIC is shorthand for the Evidence Intake Center. The VA now has 2 of them: one in Janesville, Wisconsin, and the other at Newnan, Georgia. UPDATE: Effective April 2016, the VA only has ONE EIC – Janesville, WI. If you send mail to the Newnan, Georgia, EIC, it will slow your claim because they have to forward to the mail to Janesville. As the VA moves to the National Work Queue (and VA Regional Office employees pay attention to what’s about to happen to your jobs) to the concept of National Work Centers (like the IRS did a decade and a half ago), it is important that there be centralized places for the VA’s claims-related mail to go. All mail for all claims being handled by the VA should be sent to the EIC in Janesville, Wisconsin. In March, the VA invited me – and a few other folks – to see an Evidence Intake Center in Newnan, Georgia. The Newnan, Georgia, EIC – now closed and defunct, but set up the same as the Janesville, WI, EIC – employs about 620 people (74 of whom are Veterans, 22 are family members of Veterans, 7 are Reservists, and 1 is in the National Guard). They began receiving VA Claims ail in May 2014, and since then have received over 1.5 million pieces of mail. That equates to about 4 Million documents, and 21 million images that have been scanned in for inclusion in the VA’s VBMS database. That’s a lot of mail. And a lot of people handling it. 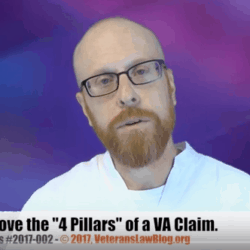 I’d like to tell you what I saw – and how your VA claims mail is processed….and I’ll do that in Part 2 of this post. Then, in part 3 of this post, I will give you some tips for getting the best results from the EIC – stay tuned (or subscribe to the Veterans Law Blog by email and you’ll get the post when it comes out). For today, though, I am going to describe for you how your mail goes from paper to digital file once it is received at the EIC. Step By Step at the Evidence Intake Center. Every morning a guy named Bob checks the PO Box …. ….NO…..they get way too much mail for that. Every day…Pallets full of mail are delivered to the EIC every day. The only time I’ve seen more mail at one time is when I got all the ads, address labels, insurance sales brochures, beer coozies and other assorted crap that the DAV sends when you first file a VA Claim. That’s the most impressive part of this operation – and I do believe it is impressive what the VA is doing at the EICs – is that they handle so much mail methodically and systematically. 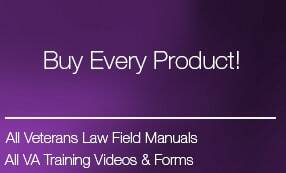 As my Firm builds the back-end of our law firm (how our client’s cases are developed and pushed through the VA), we are using a lot of the same technology. So, from that perspective, I was impressed to see that this operation appears to have some really tight and precise processes that are followed from beginning to end. Step #2: Mailed Logged and Prepared. Once the mail is brought in and opened, it is logged in and prepared. This seems to be the worst job in the place – workers have to sit for hours on end – sorting your mail into document types, removing paper clips, staples, tape, unfolding pages, etc. I really felt for the workers doing this job…and so when I publish my list of tips and pointers for getting the most of the EIC, I will share one that I hope will directly impact the folks that are doing this horribly tedious – but vital and necessary – job. Step #3: High Speed Imaging of your Mail. After the mail is prepared and sorted, it is scanned in using the biggest scanner I’ve seen in my life. Step #4: Image Processing & Indexing. After the image is scanned, it is processed (doing technical things like deskewing, despeckling, and optical character recognition). Then each document is indexed. What is really cool about the EIC is that the Document Index can be traced back through the entire process – at any point, the VA or the Contractor can go back and find out who “touched” the document at any stage in the process. This opens the door for some really effective quality control measures. As I’ve learned in my Firm’s efforts to segregate, sort, file and analyze claims in a digital environment, it is vital to be able to know who did what to a file and when, in order to make sure that the process that they are following is the most effective, efficient, and proper. Once the digital file is indexed, teams of employees look through the document – their primary task is to validate the data and to “type” it. They sort the digital file to discern whether it is a medical record, or lay evidence, or a VA Form, or a letter, or something else. These employees have over 300 different protocols for different document types and what they do next depends on the type of the document. 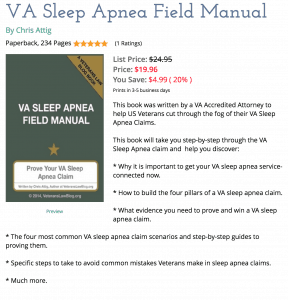 Step #6: Independent VA Quality Assurance. Most of the employees at the facility are contractors – but there is a team of Independent VA quality assurance inspectors that review the work of the Image Processors and Document Typers to ensure that they are properly identifying the types of documents, the Veteran who it is from, and the Regional Office it is going to. Not every file is examined or double checked – in fact this was one area of the facility where our group was allowed to spend the least amount of time. But according to our hosts, the Newnan facility is bragging about incredible rates of quality…. and they also seem to have a lot of training in place to ensure that quality. Step #7: File sent Digitally to the RO. The EIC’s job ends when it uploads a particular set of digital files to the Regional Office’s “Portal”…. 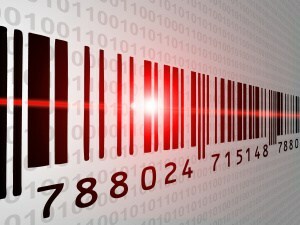 ….the EIC says that over 99% of the mail is scanned and made available to the RO digitally within 3-5 business days. I believe that’s true – however, we are still seeing huge delays from Regional Offices who cannot yet “see” our submissions to the EIC for weeks after their receipt at the EIC. Turns out – and this problem will disappear when Regional Offices disappear and the VA moves to National Work Centers – the VA Regional Offices can control what documents are added to your file and when. And, as I understand it, there are a lot of little children’s games going on in the Regional Offices. We heard of one Regional Office that was sitting on our FOIA requests for C-Files, and not sending them on to be processed, in protest of VA leadership’s attempts to centralize the C-File requesting process and make it more efficient. 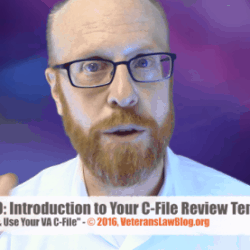 (Stay tuned on the Veterans Law Blog…we’ll be telling you all about a faster way to get your C-File once we confirm that it is a fully operational process). Step #8: Paper sent to Storage. After the EIC uploads the digital files to the Regional Office, your paper is boxed up and sent to a salt mine in Kentucky. Or Utah. Who knows where, really. But….every document that is uploaded to VBMS has a unique identifier attached to it, and with that unique identifier, you can not only find out what happened to your document at every stage of the scanning process and even where your paper copy is stored. My Overall Impressions of the Evidence Intake Center. It’s an impressive operation – and as near as I could tell, it was working pretty damn efficiently. And you know me – I’m not one to give out praise to the VA very easily. What is really interesting about this process is how it fits into the overall future of the VA – something that not a lot of people are talking about – the National Work Center and National Work Queues. Here’s a little taste of what I’m talking about….but I’ll post more on that later. Next up…..my impressions of what I saw at the EIC and then…..tips to help you improve your mail and fax submissions to the EIC…..not only so they get into your VBMS Case File quicker, but so that they are more useful to your Rater or DRO or BVA judge in deciding your claim……stay tuned….